One of the most famous condiments of Malaysia, Sambal Belacan is spicy hot, sour, salty and sweet at the same time. We used a mortar and pestle to pound the fresh chilis, garlics, shallots, shrimp paste (belacan), tamarind, sugar, and lime into a paste. After pounding and roasting, all the juices and flavors came out from the ingredients. 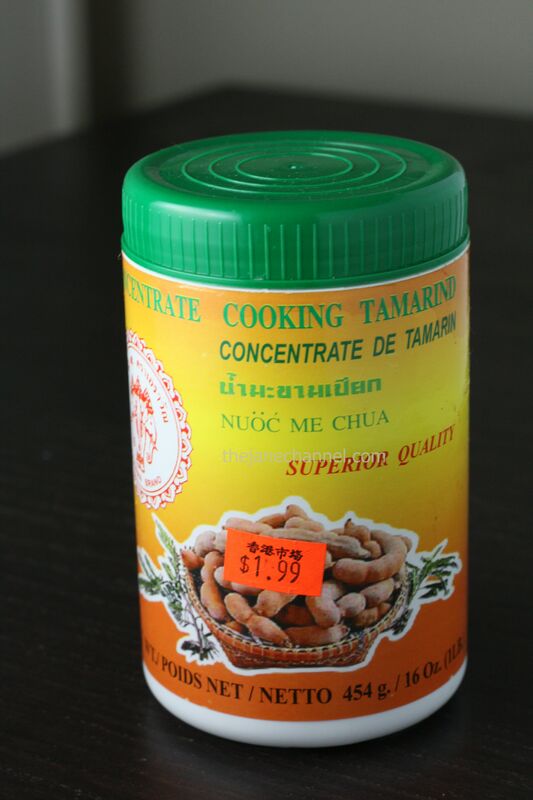 It’s a great condiment that goes well with almost any vegetables and meat, or even plain rice. Do note that belacan has a very strong taste and smell, and many would agree that it is an acquired taste. You may want to experiment with smaller amounts in the beginning if you are not familiar with it yet! Cut fish fillet into bite sized pieces. Chop asparagus, and onions into 1.5 inch strips. Marinate fish fillets with a pinch of salt. Set fish aside while we prepare the sauce. Roughly chop garlic, shallots, and hot chili pepper into small pieces, then grind into a paste by using a mortar and pestle. Add in the rest of sauce ingredients and mix well. 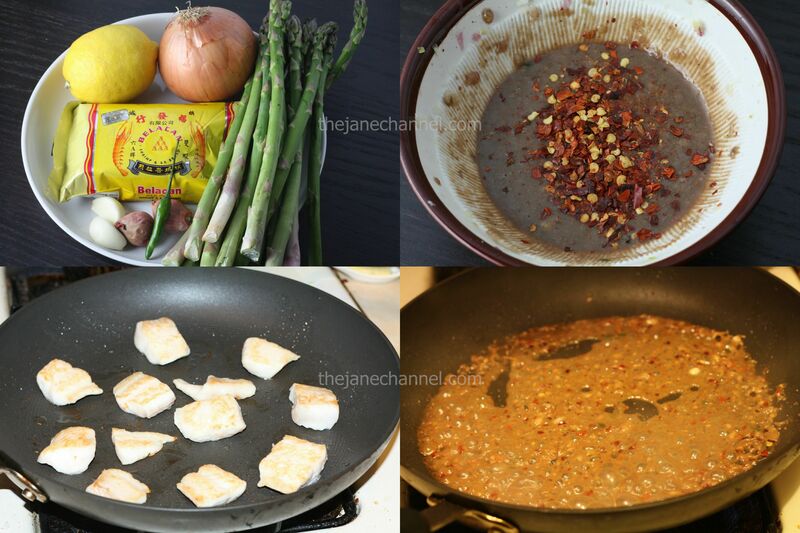 Separately cook onions, asparagus, and fish pieces in a large skillet with a bit of oil and medium heat until each are cooked through, setting each cooked ingredient aside on a plate. Be sure not to overcook them! Asparagus in particular are done in about 3 minutes. Onions are done when they turn translucent, and fish is done when it turns opaque and flakes easily. In the large skillet, heat oil under medium-high heat. Add in the sauce and cook for about 1 minute, until fragrant. 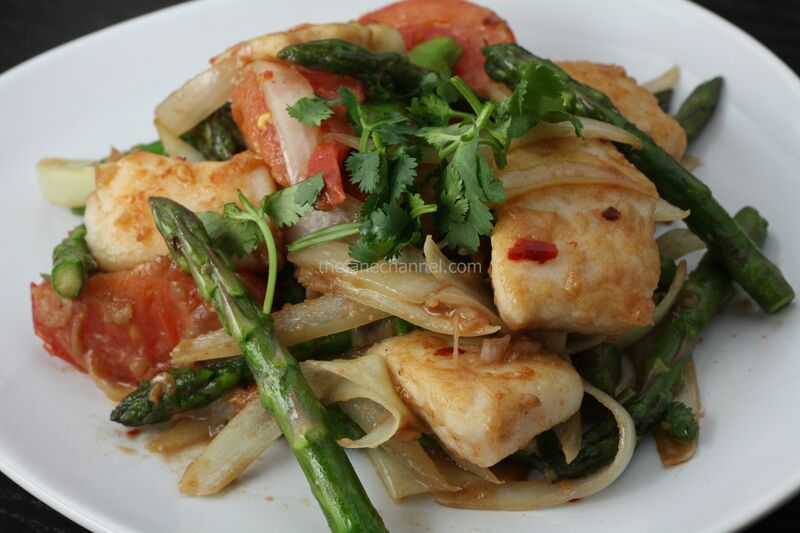 Add in onions, asparagus, and fish and mix sauce over pieces evenly. Once mixed well, it is ready to serve. Omg I love sambal fish! Thanks so much for posting the recipe! I never thought of making Malaysian food cos the sauce is quite complicated. But you made it quite easy here! Just wondering what you would recommend to replace the asparagus? Not a big fan of that.